Be inspired by these fascinating locales across southern France. Brimming with charming medieval hamlets, picturesque ancient towns perched on hillsides and fishing villages awash with pastel-colored buildings, the south of France is magical. 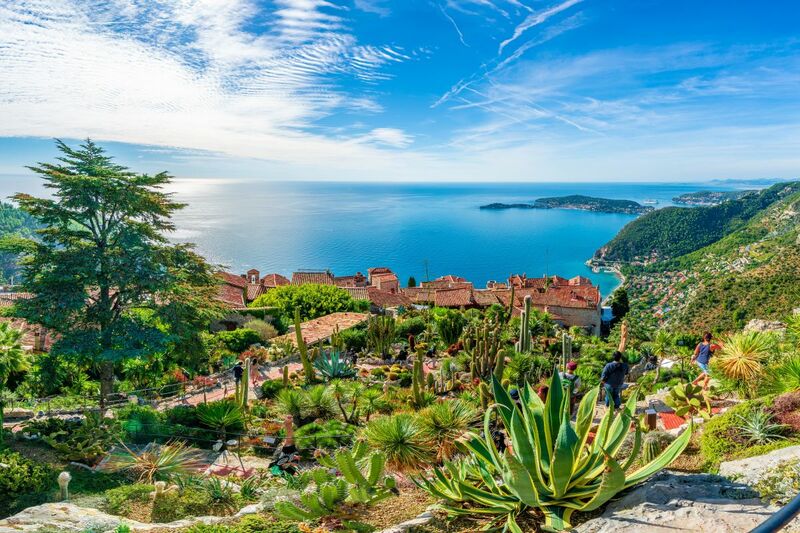 The scenery along the Côte d’Azur is also breathtaking, with many towns overlooking the Mediterranean Sea. This part of France is a year-round destination, but summer is the busiest season. Spring and fall are less crowded and offer more pleasant temperatures. No matter when you choose to visit, you’ll be inspired by these destinations surrounded by vineyards, steep cliffs and mountains, lavender fields and more. 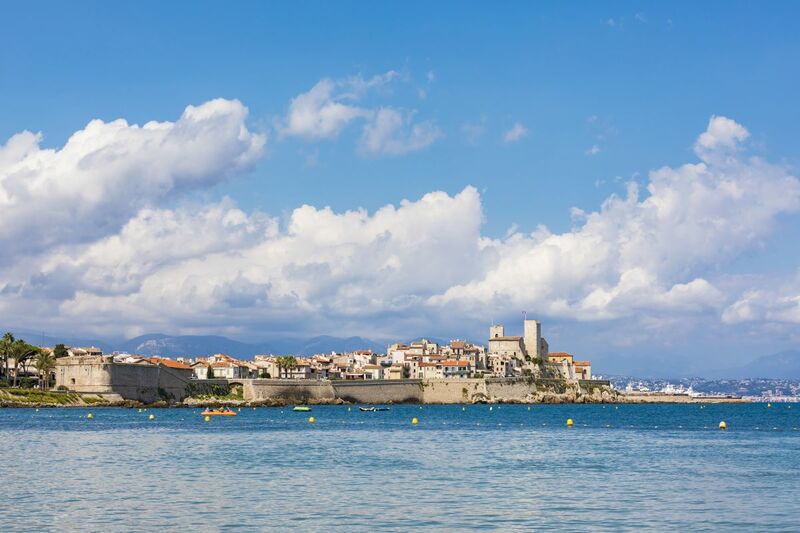 Antibes is a lively coastal resort town situated between Nice and Cannes on the Côte d’Azur. Start your journey by wandering the streets of the old town, where you’ll pass charming cafes and shops, then visit the Picasso Museum. Housed in the former Grimaldi Castle, the site of the Picasso Museum was once the artist’s studio when he arrived in Antibes in 1946. It was transformed into a museum in 1966, becoming the first museum dedicated to the painter. End your day with a stroll along the Tirepoil Path, located 3 miles south on the scenic tip of Cap d’Antibes. This two-hour walk affords spectacular views of the sea and its craggy coastline. While here, you can also catch a glimpse of the Chateau de la Croë, the former residence of the Duke of Windsor. Located in the Midi-Pyrénées, Cordes-sur-Ciel is a fortified village set atop a hillside in Tarn, located approximately 50 miles northeast of Toulouse. While here, admire the town’s beautiful mixture of centuries-old Gothic architecture and traditional timber-framed houses, which were built between 1280 and 1350. The village is also known for its thriving artist community. The village was renamed Cordes-sur-Ciel (from Cordes) in 1993 to indicate how it rises above the clouds amid the valley. The words “sur-Ciel” translate to “on-sky.” In mid-July, the village hosts the Medieval Festival of the Grand Fauconnier, featuring gallant knights dressed in period costumes, plus banquets, music, jugglers and parades. Gaillac is recognized as one of the ancient wine regions of Gaul in Western Europe. This area of France is located on the Tarn River in the Midi-Pyrénées, about 15 miles south of Cordes-sur-Ciel. Here, you can sample and learn about the varietals from this famous appellation at the Maison des Vins (wine house) inside the Abbey Saint-Michel. 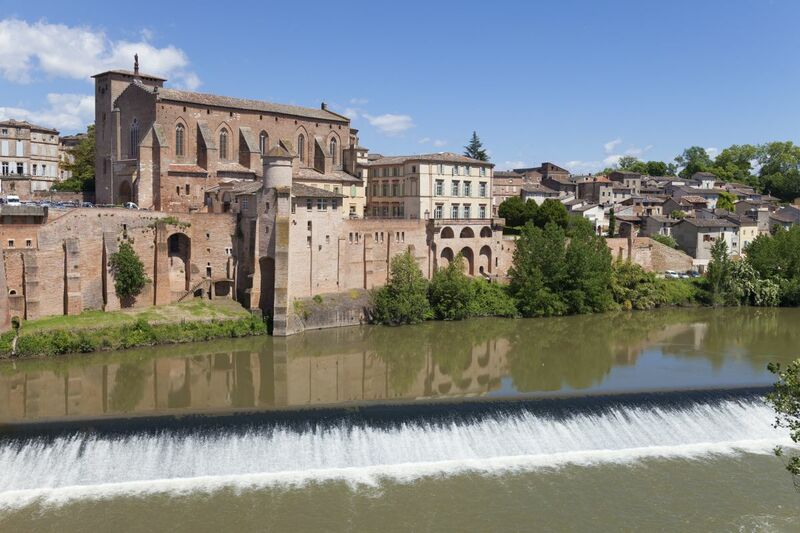 Afterward, take a stroll through the medieval streets then cross the town’s scenic bridge over the river for beautiful views of Gaillac. Splurge on accommodations and dinner at the romantic Château de Salettes. This 13th-century chateau is set in Gaillac’s picturesque millennium vineyards. 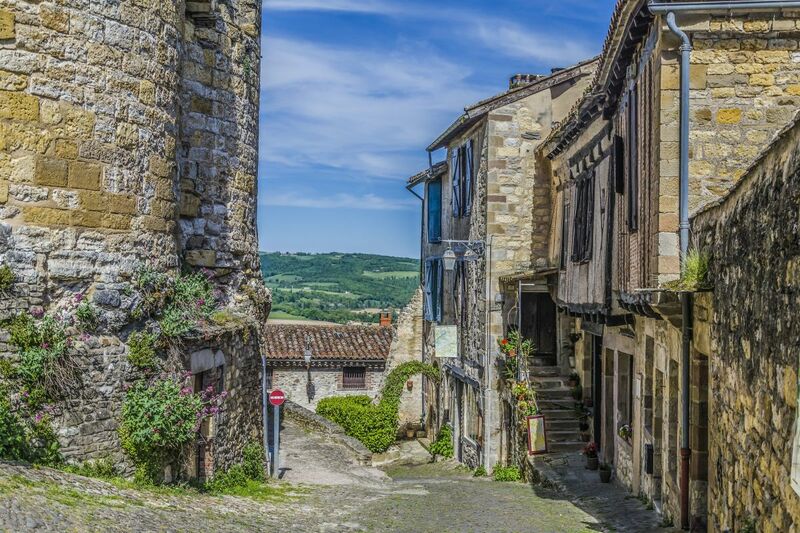 The ancient stone village of Ménerbes is considered one of the “Most Beautiful Villages in France,” an honor awarded by a French association that promotes and recognizes culturally rich rural communities. 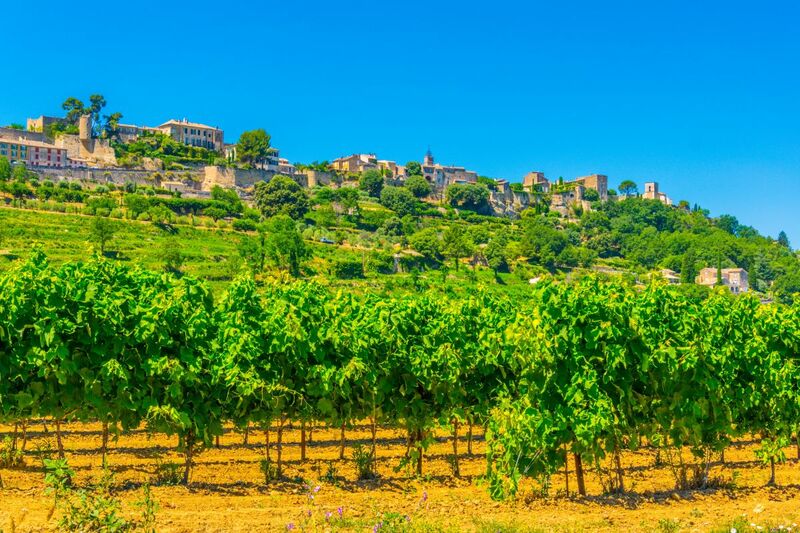 Located approximately 30 miles southeast of Avignon in the Luberon, this hillside town is surrounded by orchards and vineyards, and dates back to Neolithic times. Wander the streets to admire the well-preserved architecture while imagining the long and complicated history that took place within the rampart walls. Plan to visit between November and March to go on a “cavage” or truffle hunt with a trained dog with La Maison de la Truffe et du Vin. This excursion also includes breakfast with truffles and wines from the region. Cassis is a picturesque fishing and port town located along the southern coast of France, approximately 20 miles southeast from Marseille. The town’s most recognizable attribute is its harbor, which is lined with colorful pastel buildings and lively cafes and bistros. 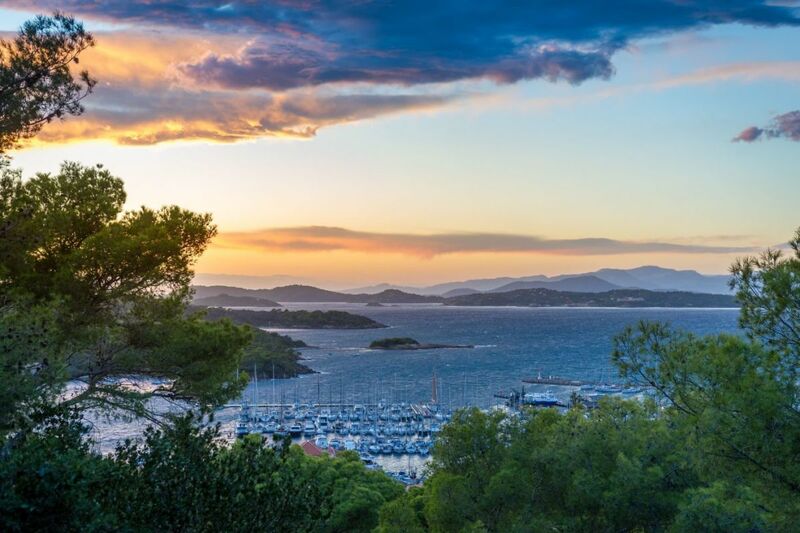 While here, enjoy a glass of local rosé while admiring views of fishing boats and yachts on the waterfront and an imposing 14th-century château nestled on the hillside. This ancient château-fort overlooking the port is now a luxury hotel, Château de Cassis. 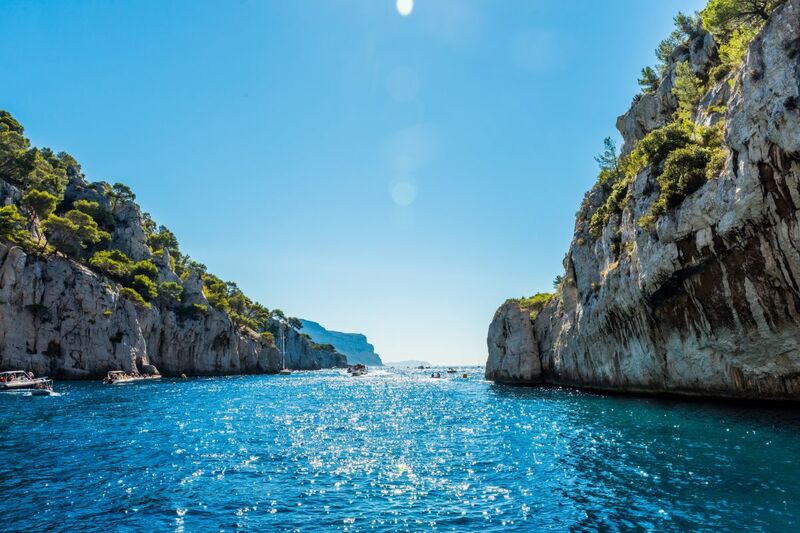 Book a trip from the harbor to visit the Calanques: Known as Provencal fiords, these limestone cliffs rise from the azure and turquoise waters of the Mediterranean. Locals sail their boats into these alcoves for days of sunbathing or rock climbing. This medieval walled hamlet is perched on cliffs high above the Mediterranean Sea, about 8 miles northeast of Nice. Travelers should plan to wander along the town’s winding cobblestone streets up to the exquisite Jardin Exotique. The panoramic views from these gardens, at approximately 1,400 feet above sea level, are breathtaking. If you can spring for it, treat yourself to a room with a view at Château de la Chèvre d’Or, or simply grab cocktails at Café du Jardin during sunset for unforgettable views of the Mediterranean and French Riviera. The best time to visit the small village of Èze is in the spring or fall, when it’s quieter and cooler. Located in the wine-producing region of Languedoc-Roussillon, this medieval walled city looks like something straight out of a fairytale. 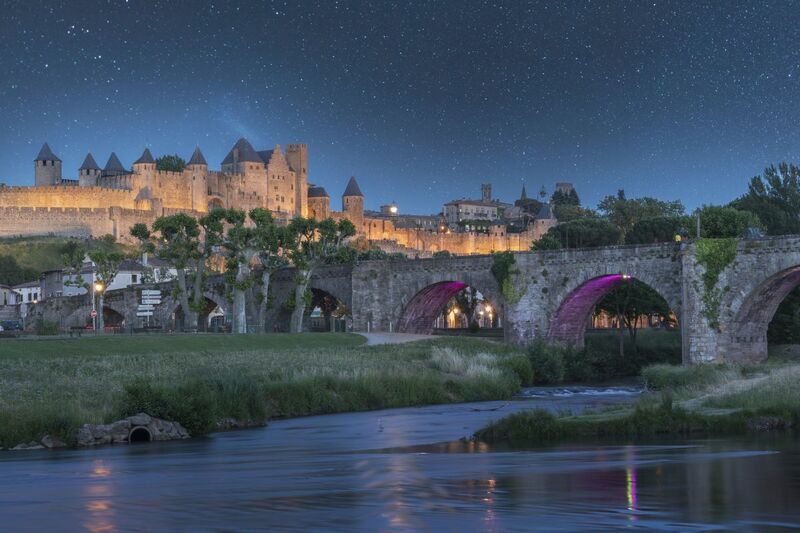 Carcassonne’s well-preserved turrets, fortified stone walls and drawbridges surrounded by a moat are recognized as a UNESCO World Heritage Site. This makes it a busy tourist destination, especially during the summer. After visiting inside the walls, explore the lower town, which dates back to the Middle Ages. Here you’ll find boutiques, cafes and the weekly indoor and outdoor market offering fresh local produce, flowers, meats and seafood. The market operates between Tuesdays and Saturdays at Place Carnot. The principality of Monaco is situated on the Côte d’Azur, about 12 miles northeast of Nice. 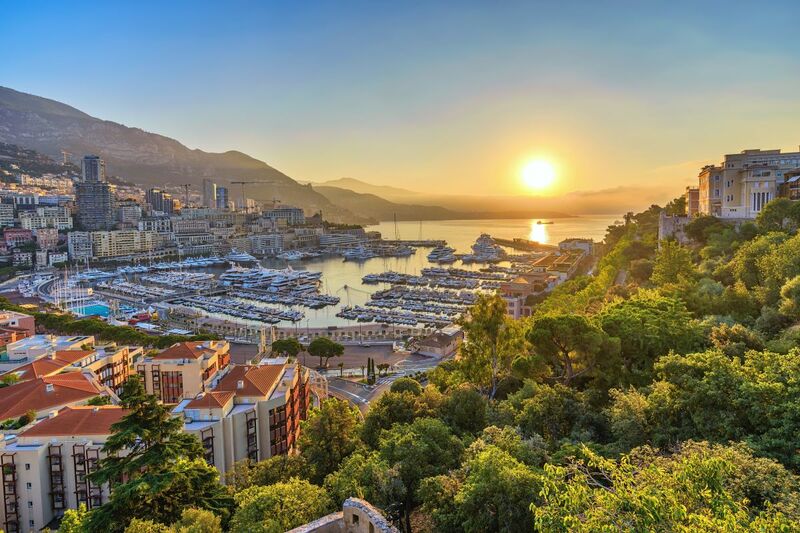 Monaco is synonymous with millionaires, enormous yachts, posh resorts and fast cars. Every year in May, Formula One fans pack the grandstands as race cars screech through the hairpin turns and hilly streets during the Monaco Grand Prix. In the spring and summer months, plan to visit the State Apartments at the Prince’s Palace, the residence of Prince Rainier III. Tours are available from April through mid-October. While there, watch the Changing of the Guard at 11:55 a.m. daily. Then, explore The Oceanographic Museum of Monaco, also known as the Jacques Cousteau Museum. At the end of the day, take time to relax on Larvotto Beach, a popular, pebbled public beach. As you drive through the French countryside approximately 25 miles east of Avignon, the hilltop town of Gordes begins to appear in the distance. Its location on the Plateau de Vaucluse cliffs in the Luberon is spectacular. 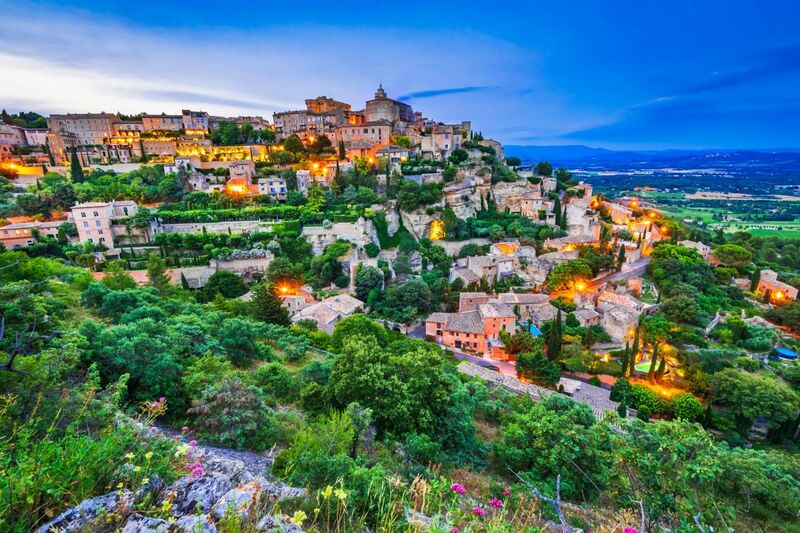 Listed as one of the “Most Beautiful Villages in France,” Gordes has been inhabited since prehistoric times. On the way up to the town’s summit, stop and take in the Instagram-worthy views. Then when you arrive, explore the winding cobblestone streets on foot. As for accommodations, consider staying within the rampart walls at the elegant La Bastide de Gordes, a former 18th-century castle, to fully appreciate the beauty and history of this ancient town. Hop on the 10-minute ferry ride at La Tour Fondue in Hyères to one of the three Îles d’Or (Golden Islands), Île de Porquerolles. Located in the Mediterranean Sea between Marseille and Nice, this government-protected Caribbean-like island boasts soft sandy beaches on the northern side and rocky cliffs on the southern coast. Summers are busy, so come in the offseason when you can snorkel, dive or go sailing without the crowds and enjoy quiet walks through the orchards or along the beach. After a full day of exploring, plan to spend the evening a short distance from La Courtade Beach at Les Mèdes.